Netflix changes the experience of film-watching forever with ‘Black Mirror: Bandersnatch’. The ‘Choose Your Own Adventure’ film allows you to select what happens next in the storyline. There are reportedly over a trillion permutations the storyline can take, with five distinct endings. The year is 1984. A young programmer called Stefan Butler (Fionn Whitehead) aspires to develop a revolutionary ‘Choose Your Own Adventure’ game. 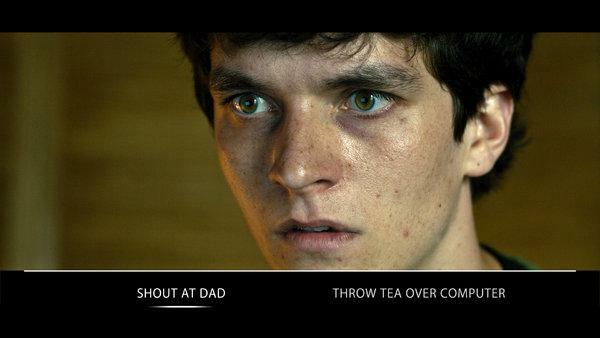 Inspired by a similarly conceptualised book named Bandersnatch, the developer codes multiple choices that gamers can choose from in order to proceed in the game. Stefan doesn’t realise that the game-making process is pushing him to fundamentally question the concept of free will in his own life. If that doesn’t run a chill down your spine, imagine that you actually get tostripStefan of his free will to make decisions. Yes, your choices affect the entire storyline of the film. This mind-boggling film is Netflix’s latest release – Black Mirror: Bandersnatch – an interactive online streaming film. The groundbreaking concept is set to change every viewer’s film-watching experience forever. Some are even saying Bandersnatch may well signal the future of TV. Reports suggest that the overall video bank of Bandersnatch, with all the possible choices, is more than 5 hours in length. A few articles claim that there are“over one trillion potential paths to view the work with five distinct endings”. While the average default path of the film can be watched within 90 minutes, choosing certain decisions can also lead a viewer to see the ending within 40 minutes. The movie seamlessly progresses with the help of Netflix’s upgraded pre-cached feature that allows it to download both possible story paths at every decision point, thus enabling audiences to have an uninterrupted streaming experience. The sci-fi British anthology series Black Mirror has been a multiple Emmy Award-winning television show, created by English writer Charlie Brooker. The dark series depicts the unanticipated consequences of our increasing reliance on technology. The standalone episodes of the series are often set in an alternative future and are delivered in a satirical way. The franchise’s standalone film Bandersnatch is no different, except that it is based in the 80s. Black Mirror has never failed to bewilder audiences with twists and turns in its story-lines that hint at a possible future reality. In the episodeNosedive, for example, people are rated on an app and their scores decide their position insociety–a storyline that seems to be a metaphor for what is happening in China through the Zhima Credit system today. This isn’t the first time that an interactive storytelling concept has been adopted for a film. In 2017, Netflix released Puss in Book, an interactive children’s programme created by Roy Burdine and Johnny Castuciano that allows its young viewers to choose from options. But the overall premise of interactive feature films that target adult viewers seems really promising now based on the optimistic response that has been generated by Bandersnatch. To build on the excitement created by Bandersnatch, Netflix has developed old-school games inspired from the movie and from other episodes of Black Mirror. You can log on to www.tuckersoft.net to play them.